This entry was posted on December 13, 2011 at 11:31 pm and is filed under Uncategorized with tags daily paint works, eldon warren, eldon warren artist, fantasy paintings, figure paintings, firuative paintings, gesture portrait paintings, land scape painting, landscape painting, little paintings, miniature paintings, oil paintings, plein air paintings, small paintings, stilllife paintings. You can follow any responses to this entry through the RSS 2.0 feed. You can leave a response, or trackback from your own site. In the past, I couldn’t seem to get inspired to paint during the grey winter. Now, I discover myself drawn to the studio to create to bring some awesome color into my days. 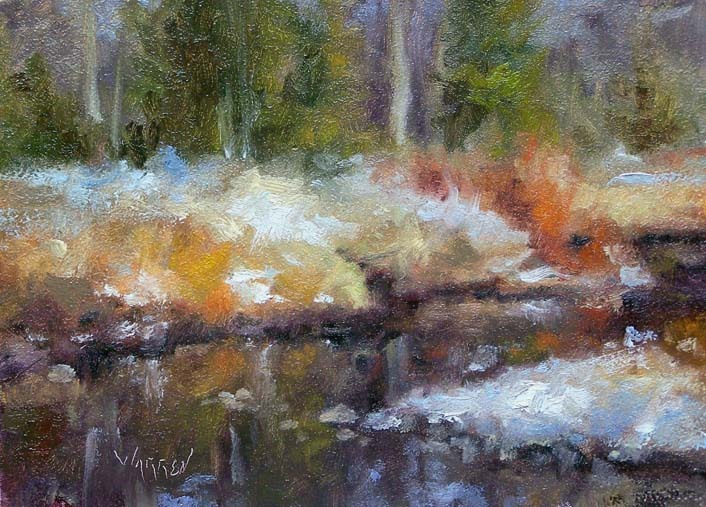 Winter can be depressing when the sun is hiding, but painting can chase away the blues. I hear ya Paula! We must endeavor to stay busier than normal at least until spring!! I always am happy when I know I’ve got winter behind me.